Rent apartments and houses in Aberdeenshire, Scotland. Book affordable holiday rentals that are near a beach and golf course. This 1 bedroom apartment is located in Stonehaven South and sleeps 2 people. It has WiFi and a garden. The apartment is within walking distance of a beach. This 2 bedroom apartment is located in Mearns North and sleeps 4 people. It has WiFi, a garden and barbeque facilities. The apartment is near a beach. 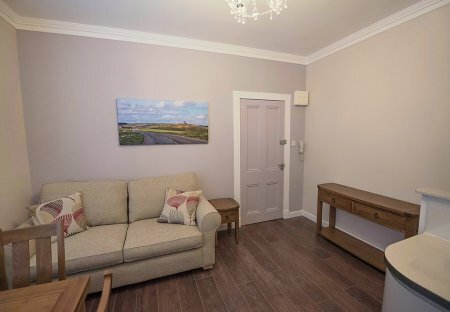 This 1 bedroom apartment is located in Stonehaven South and sleeps 4 people. It has WiFi, a garden and parking nearby. The apartment is within walking distance of a beach. This 2 bedroom house is located in Stonehaven North and Fetteresso and sleeps 4 people. It has WiFi, parking nearby and a gym. This house embodies the elegance of a bygone era blended with the best of today's living. It leaves visitors inspired and enthused, relaxed and invigorated. The Regency Mansion is large. 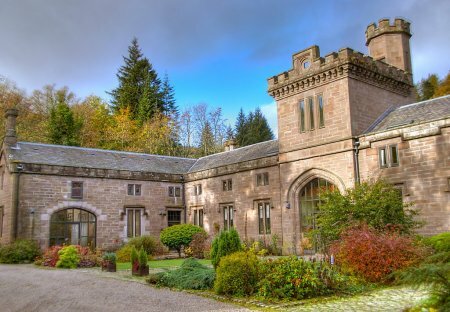 Strathdon Castle makes a wonderful baronial retreat for those who wish to immerse themselves in the beauty of the Scottish Highlands and the Cairngorms National Park.